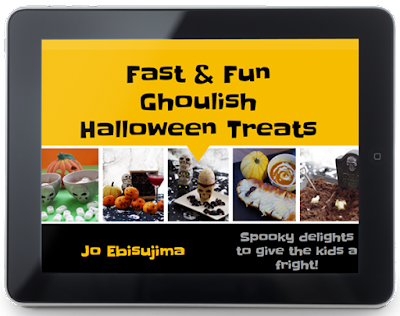 Halloween is by far the favourite festival of the year in this house, Ebi-kun has been excited for months and changed his outfit idea about 76 times! 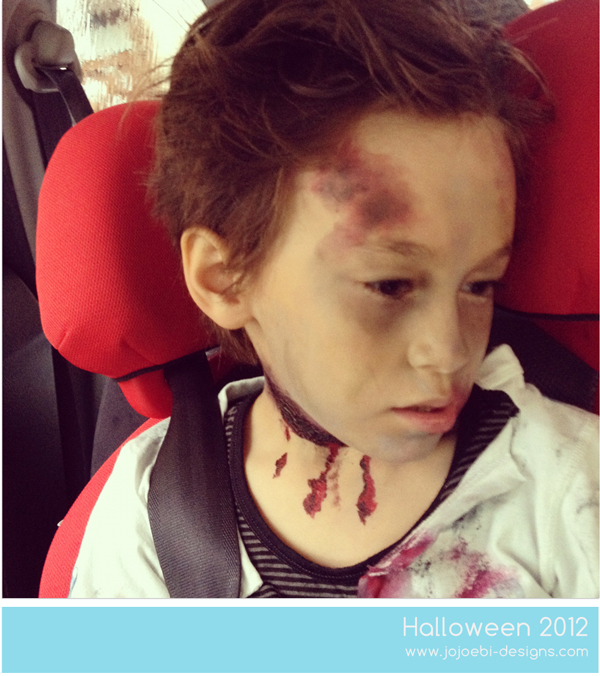 He finally decided we should be a zombie family, I was secretly relieved because it is possibly the easiest costume to pull off! My husband was worried that we might cause a car accident but the weather was horrible so I doubt anyone could see in anyway. Of course Ebi-kun decided he needed the toilet so we had to stop at a 7/11, highly amusing! 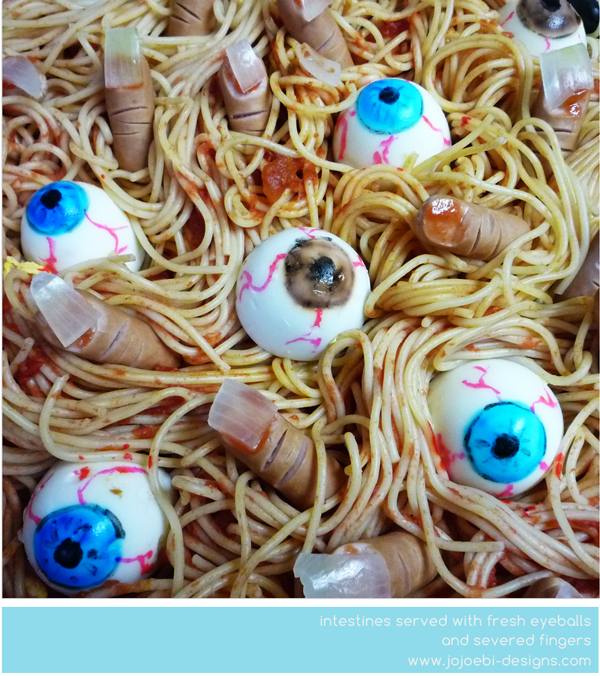 I rustled up some small intestines with freshly picked eyeballs and severed fingers, we always do our parties as pot luck and it amuses me to no end to hear the kids asking for a couple of fingers, eyeballs or brains! 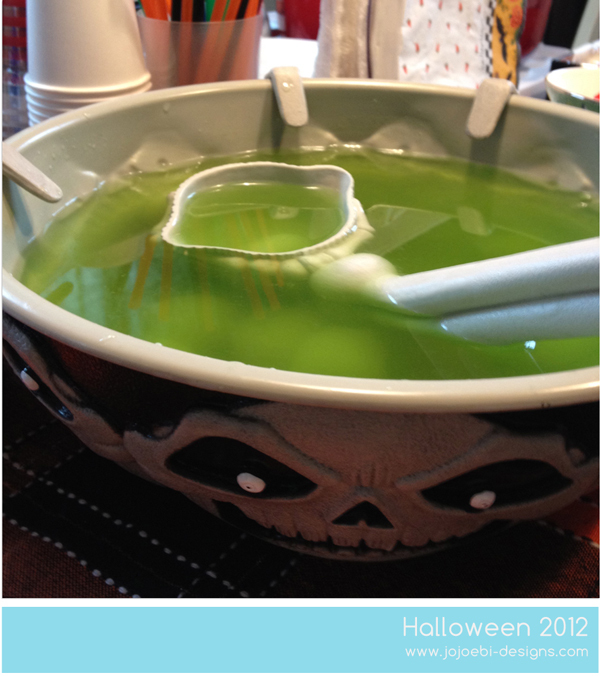 The punch bowl was a big hit, I added some extra eyeballs and worms in there too - yes, I am revolting! 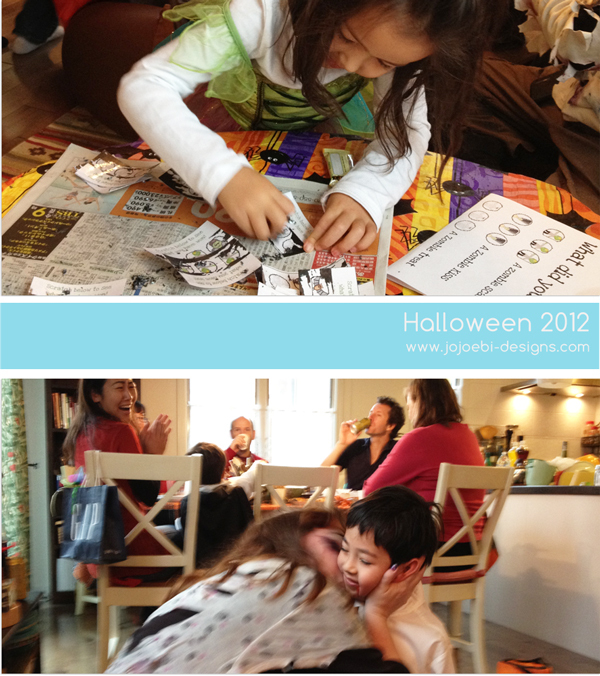 We were lucky, when it came time for Trick or Treat the rain had eased up, when the kids had collected their treats we went back and played games. 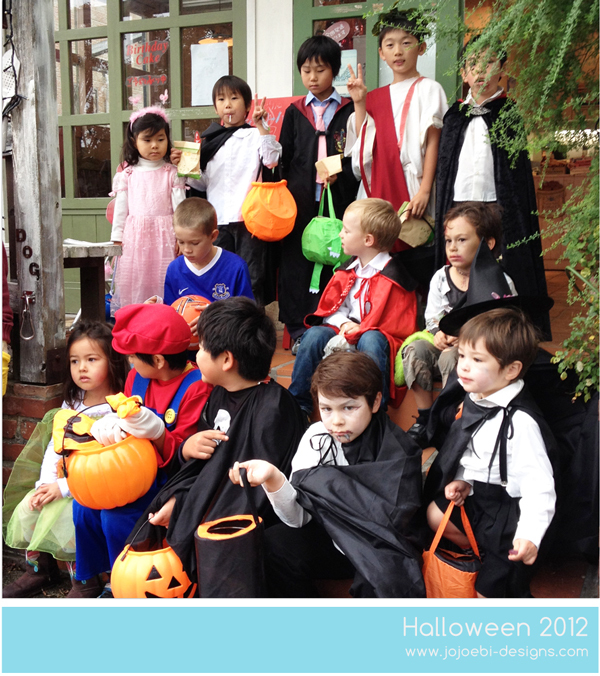 Jack had decorated their garage into a haunted house so there was storytelling in the dark, which was fun. I had made the scratch cards which the kids really got into and they all went away with scars and vampire bites. 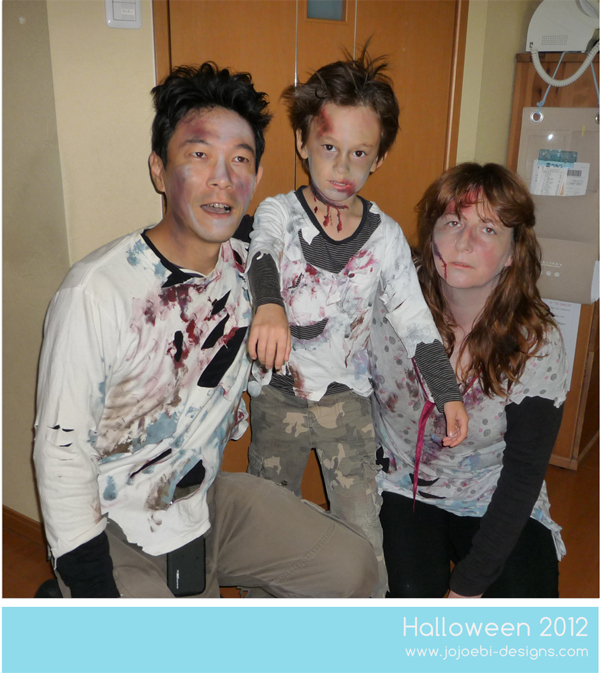 Poor K-kun won 'The Zombie Kiss', he didn't look very impressed lol. It looks like you all had a lovely time! The costumes were great.